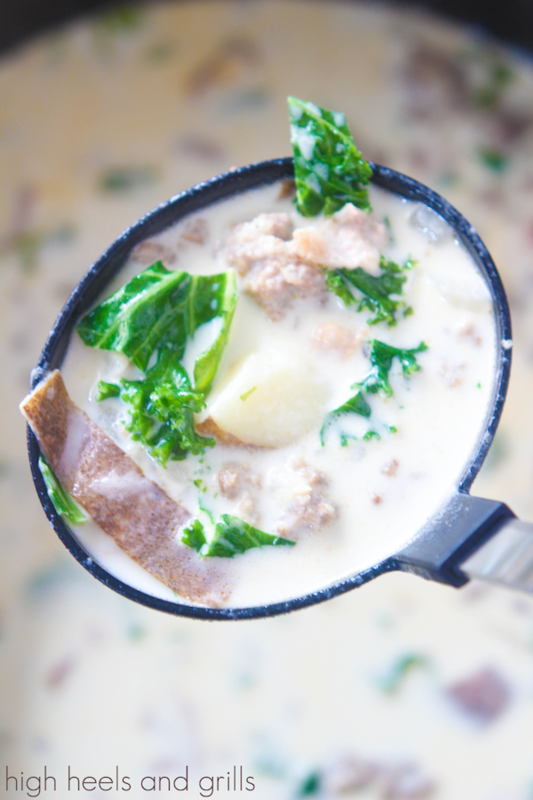 This Olive Garden Zuppa Toscana Copycat really does taste like the real thing! 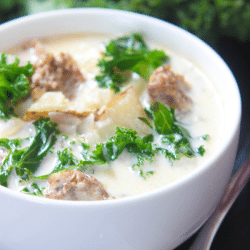 Make your favorite Olive Garden soup at home! Hi friends! Man Monday time. 1. To purchase the actual item at the restaurant (vs making it yourself) costs your child’s future tuition and your entire collection of Indiana Jones paraphernalia. 2. Often, the copycat version is better for you, and you feel it instantly… no gut bombs. 3. I can enjoy any copycat recipe in the comfort of my own home. And I don’t even need to wear pants. 1. When they don’t actually taste like the original, you feel like shoving a pie in the face of the person who originally created the recipe. And by pie, I don’t mean the kind that is yummy. I mean the other kind… you know… made of animal… excrement. Well, in this copycat recipe I literally cannot tell the difference between it and the Olive Garden original. It’s glorious. You avoid that one pesky negative to copycat recipes, and you can appreciate ALL the benefits. I would just recommend at least having some barrier between your hot soup and your… body… if you choose not to wear pants. Don’t go out tonight. Don’t wear pants. Do make this soup. Enjoy life. Totally need this in my life!!! Hi, Stella! I would suggest using spinach. Hope this helps! 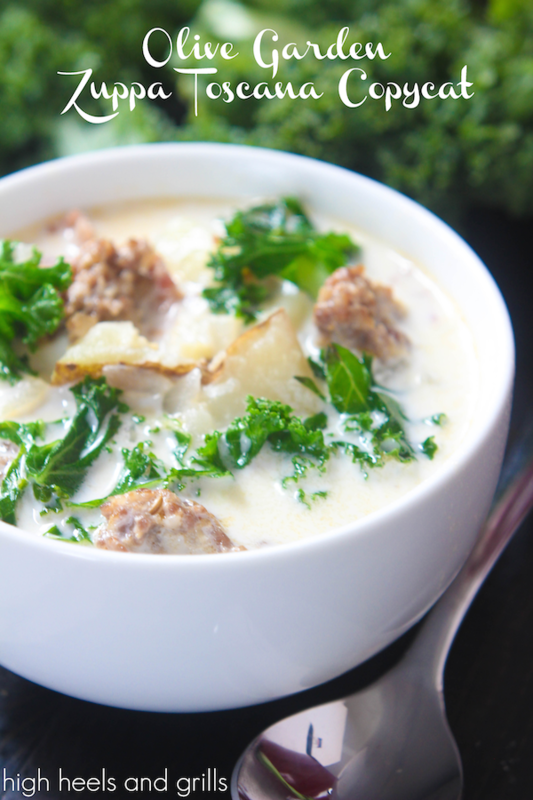 This is my favorite, go-to recipe for zuppa toscana and I share it with everyone!! It turns out delicious every time and I’m actually like it better than the OG! I’ve also used this same recipe, substituting cauliflower for the potatoes for a lower-carb option. Thanks for sharing such a great soup!